Indigenous Brazilians rally to demand land rights protection | Al Jazeera Over 3,000 people arrive in Brasilia to denounce what activists say is an unprecedented rollback of indigenous rights. There’s Sao Paulo, Brazil – Thousands of indigenous Brazilians from across the country have rallied in the capital, Brasilia, to call authorities to protect their land rights. Organisers of the annual “Free Land Camp” in Brasilia said more than 3,000 people reached the city this week to denounce what advocacy groups say is a continuing and unprecedented rollback of indigenous rights in the country. “We are here to demand our rights,” Jailson dos Santos, leader of the Kariri-Xoko tribe from Bahia, northeastern Brazil, told Al Jazeera from the protest outside the attorney general’s office on Wednesday. 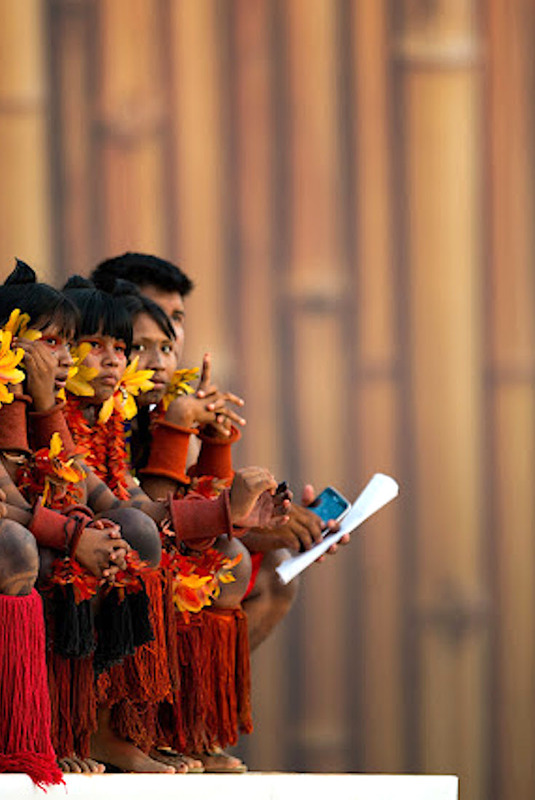 Indigenous people’s right to their traditional lands is enshrined in Brazil’s constitution. In practice, however, this right is rarely respected and their lands are often targeted by loggers, land grabbers and wildcat miners.